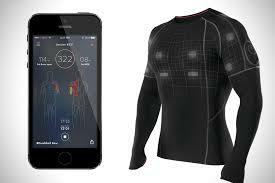 U.S. Smart Fitness Wear Market is expected to demonstrate considerable growth from 2016 to 2023. Asia Pacific is predicted to experience significant growth prospects owing to low production cost across the region. Europe expected to exhibit moderate growth rates owing to presence of leading industry participants across the region. Smart fitness wear market is predicted grow at over 30% CAGR from 2016 to 2023 and is likely to hit USD 4.5 billion by 2023. Rising consciousness regarding health and fitness among individuals is anticipated to drive industry growth over the forecast period.Wearable technology market size was approximately USD 25 billion in 2015. Surging demand for technologically advanced products along with increasing need for innovative features is anticipated to boost smart fitness wear market growth. Growing awareness regarding personal fitness management is also predicted to positively impact the industry demand over the next seven years. Increasing use of these products by athletes as well as trainers due to enhanced level and quality of exercise has driven consumption. They help the wearer stay on course during a workout regime through haptic alerts.Escalating adoption of GPS equipped smart sports vest is expected to further provide a fillip to smart fitness wear market growth from 2016 to 2023. These wearables collect data such as distance and speed. Features including body stress measurement also help prevent potential injury. Insurance firms are now looking at smart fitness wear as a tool to improve and plan members’ health. Numerous insurance companies offer reduced premium plans to the members using specified wearable technology market products.High disposable income accompanied by rising innovative projects in healthcare & electronics industry is projected to offer massive growth prospects over the next seven years. Based on product, the smart fitness wear industry can be segregated in to shirt, t-shirt, leggings, bras, jackets, shoes and in-soles.